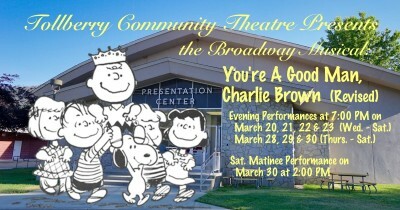 You’re A Good Man, Charlie Brown opens this weekend presented by the Tollberry Community Theatre in Tollhouse, CA. We took a moment to chat with the show’s director, Tina Galfo, about the show. Tina has been a volunteer with the theatre co. for 30 years. KRL: Why did the theatre company pick to do Charlie Brown this season? Tina: We surveyed our patrons, asking them which show they would most like to see, and this show was their top choice! 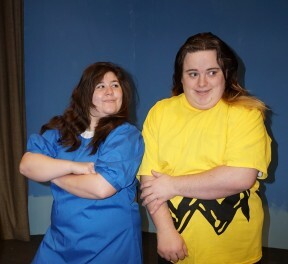 We did the original You’re A Good Man, Charlie Brown back in 1991 and we loved the show, so the idea of doing the 1999 revised version was certainly appealing to us. KRL: Why did you want to direct it? Tina: I was in Tollberry Theatre’s 1991 production of the show (in the role of Lucy), which was our first ever musical. When I heard the revised version, I really liked the two new songs and the jazzy update of the others, so the idea of directing it was a wonderful opportunity. KRL: Are there any special challenges to this show? Tina: There are so many! The show constantly intermixes dialog, music, singing, and dancing, and it moves along fast, so that takes a lot of rehearsal time. 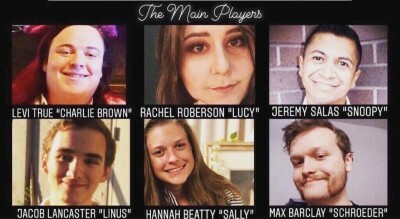 Being an all volunteer organization also means that not only am I directing the actors on stage but I also have to find people to handle all other aspects of the show (set construction, costumes, publicity, etc.) and that is very challenging in our small community in the foothills. KRL: Will it be an adult cast or children? Tina: From the beginning, Tollberry has tried to provide the opportunity for as many as interested to participate in theatre. This has always involved people of all ages. 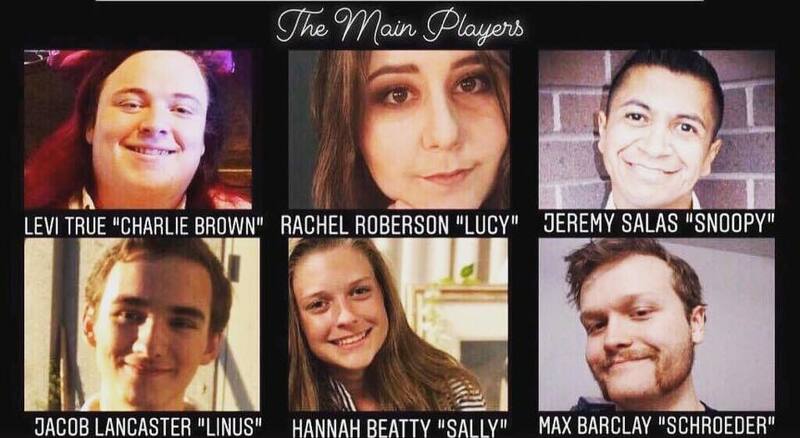 Our six principal actors range in age from 16 to 35. The chorus ranges in age from 12 to 70+. We also have very small roles for four children (Woodstock and friends) in the first act of the show. Tina: I love seeing the show come alive as we rehearse and being able to bring out each actor’s inherent strengths and encourage them to really inhabit their role. I love music and dance and this show has lots of both, so that makes it fun too. When we did the original version, the music was just played on the piano. This time we will be performing with the official sound track with its big exciting orchestral sound. It’s great. I even put myself in the chorus so I could enjoy the show from the stage! KRL: Will there be anything different about this production? Tina: Yes, having a chorus (with wide ranging ages) and involving children (Woodstock and friends). Tina: Yes, Tollberry Community Theatre is happy to be celebrating its 40th anniversary this year. The money we raise goes to provide scholarships for Sierra High School students and over the years, we have handed out nearly one hundred scholarships. 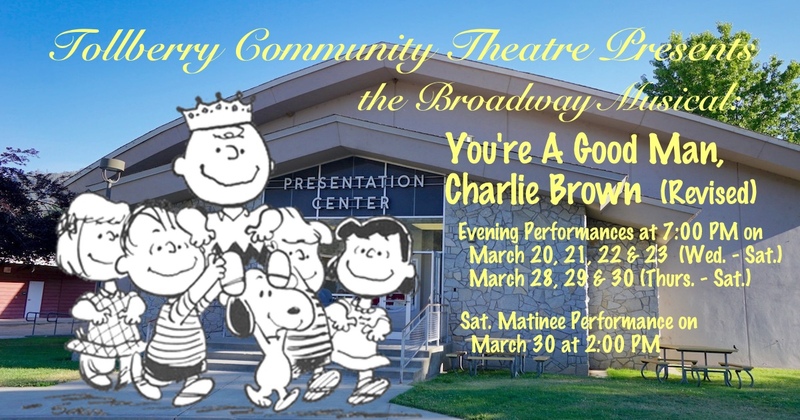 Saturday Matinee Performance on March 30 at 2:00 p.m.
All performances are at the Lynda Qualls Presentation Center at Sierra High School in Tollhouse, CA.